The Smartphones are getting smarter than before. The storage capacities of the Phones are on the increase with every model which is coming in the market. Thus, when it comes to the storage options, the storage size isn’t creating any trouble at all. But still, there are many who needs more space; either they are carrying old Smartphones, which has very limited spaces, or the person may be apps addict and like to download all apps in Smartphone. Whatever, the reason is, if you are running short on the storage space, here are some Best Lite Apps for Android, which can satiate your hunger for the app and at the same time require very less space. If you are running short on space, and still want Facebook in your Smartphone, why don’t you try Facebook Lite? This version of Facebook uses fewer data and is perfectly suited to work in all network conditions. Also, with the download size of just 16MB and total downloads of more than 500M, and overall ratings of 4.3 stars, suggest the success story of the Facebook Lite App. Download this one of the Best Lite Apps for Android now, to save your data and space! If you are looking for the messenger version of Facebook, but in fact is looking for the faster and light version, look no beyond than Facebook Messenger Lite. The download size of 6.3MB indicates what it’s going to take from your phone and with the overall ratings of 4.4 and already downloaded by more than 100 million users, the Messenger Lite is a perfect app for your messenger needs within a small requirement. For the Professionals who like to remain connected with the world, LinkedIn Lite is one of the Best Lite Apps for Android, which can satiate your hunger of creating a huge network of professionals around you. What is the most unbelievable about this app is that its download size is just 0.89MB! So, if you are searching for Jobs, or want to build a professional network, the LinkedIn Lite will surely serve your purpose without giving any hard time to your phone. Also, already downloaded by more than 1 Million and collecting the overall ratings of 4.6 stars concluded, whether you should opt for it or not! If your main Twitter app if giving you hard times, why don’t you give a lite version of Twitter, a try? With the download size of just 0.7 MB, as compared to the Twitter main app with the size of 17MB, the Twitter lite isn’t a bad choice at all! Is it? Already downloaded by more than 1 Million and with the star ratings of more than 4.1 stars, the Twitter Lite is definitely one of the best Lite Apps for Android, if you are looking for the Social Media App and also focused on saving your space. If the actual UC Browser is taking a lot from your phone, it will be a wise idea to give a try to the UC Browser Mini! With the fast browsing and easy access to the websites, the UC Browser Mini will surely make your day wonderful browsing the internet! The download size of just 13MB and already loved by more than 100 million, the UC Browser Mini has collected star ratings of 4.4 already. Now, it’s your time to download it and give it a try. 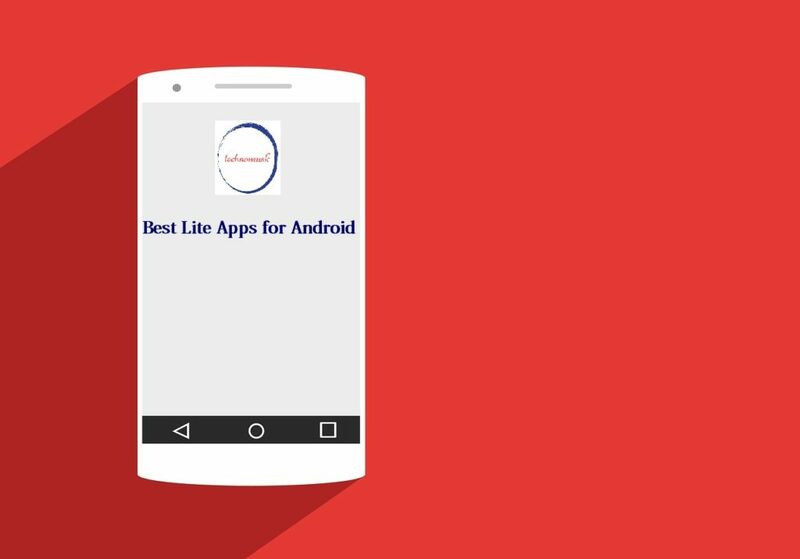 You will definitely love this one of the Best Lite Apps for Android and in the process will save a lot of space at your Smartphone.